Egg as a hair and face mask. People sometimes confuse themselves and believe it’s only the white part of the egg or the yolk that needs to be used but in all honesty, the entire concoction is what you need if you want to extract full natural benefits from an egg. You’ll be surprised at how the chemical free, at home kitchen wonder will leave your skin tight, firm, nourished and supple and your hair glossy, hydrated and untangled for days after the treatment. Indulge in this twice a month on weekends before your pamper bath time. For a glossy, frizz-free mane every day, opt for Brazilian Blowdry Keratin Treatment. Honey as a face mask is quite a popular kitchen beauty essential. If you’re not a fan of the natural sweeter and don’t usually stock it in kitchen cupboards, invest in a good quality, organic one just for your beauty treatment once a week. 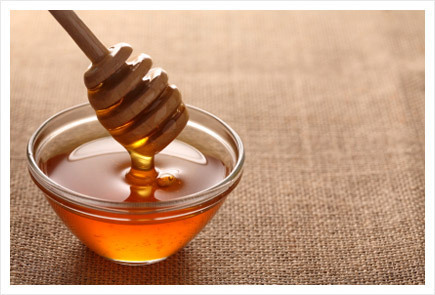 Honey has natural anti-oxidants that make your skin stronger and more resistant towards environmental damage. It’s also a skin soother if you suffer from irritated, sensitive skin. Funnily enough, honey is great for both oily and dry skin types. For oily, blemish prone skin, it can be mixed with a tablespoon of cinnamon to minimise breakouts and for dry skin types, it works wonders on its own. Coffee Body Exfoliator is something you can always stir up in your home if you run out of your expensive body scrub. If you are a coffee lover, you are in for a treat as your scrub will smell amazing and spread the aroma in your kitchen and bathroom. Coffee contains caffeine which works at combating cellulite. Plus, coffee’s granules when massaged in a circular motion upwards on the thighs for instance will help with lymphatic drainage and water retention. Cellulite is simply excess fat which has pushed its way up through the tissues and is not all clumped together. This kitchen made body scrub will help dissolve fat deposits over time. Mix with shea butter and olive oil to create an emollient body scrub like consistency. Store in a used up body exfoliator tub, make it a staple in your shower to see results. Follow with a Body Wrap Treatment twice a month to banish cellulite in a guaranteed manner. For whiter teeth at home, mix a teeny bit of baking soda with your regular whitening toothpaste when you brush twice a day. If you want to use it in a concentrated manner, try mixing baking soda with lime juice and apply to teeth with an electronic toothbrush for effective results. Just like a teeth whitening treatment, avoid it touching the gums and keep it restricted to the teeth to avoid a tingling sensation. Results will be visible in two weeks time. Don’t forget to spit out the baking soda and not keep it in your mouth for longer. Also, rinse mouth with a pleasant mouthwash to remove the taste of baking soda. For a long term solution, try Permanent Teeth Whitening. Toothpaste on spots is an old yet effective one which is great when used once in a while for emergency spot treatments. It has anti bacterial and oil absorbing properties that reduce the size of the spot in a few hours and minimise inflammation and bacteria from spreading. It has the ability to dry out skin surrounding the spot so follow with a nourishing product and use sparingly.